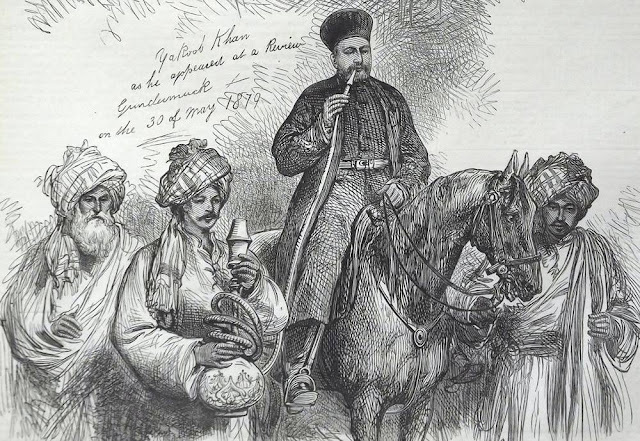 The Afghans had a chequered history within the Mughal nobility.They cannot properly be regarded as foreign immigrants because their homelands lay within the Mughal Empire. During the time of the Delhi Sultans,, some of the Afghans acquired prominence as nobles. With the establishment of the Lodi Empire, they came to constitute the governing class, and the lnflux or the Afghans from 'Roh' to Hindustan proper reached its height. When their Kingdom was overthrown by Babur, some of them made their peace with conqueror. The short-lived Sur Empire, followed by the Mughal restoration made the Afghan chiefs suspects in the eyes of the Mughals, and Akbar seems to have kept most of them at arm's length. Jahangir, however, began to encourage the Afghans, as evidenced particularly by the position accorded by him to Khan-i-jahan Lodi. Under Shahjahan, after Khan-i Jahan Lodi's rebellion, the Afghans apparently suffered a set-back and, we are told, that Shah-jahan placed no trust in the Afghans. Aurangzeb as a prince Seems to have made an attempt to win over Afghans. In a letter he expresses surprise that his proposal for promoting an Afghan officer was turned down by the Emperor simply because of his race. Still more revealing is the fact that out of the 124 nobles of 1,000 zat and above, who supported Aurangzeb up to the battle of Samugarh, 23 were Afghans, while there was only one Afghan among 87 nobles of this status on the side of Dara Shikoh . According to Abul Fazl Mamuri, Aurangzeb in the early years of his reign exercised great care to see that Afghans did not get undue promotions. In our list of mansabdars of 1000 and above during 1658-78, we find 43 Afghan officers out of a total of 486. In the second period , 1679-1707, the Afghans numbered 34 out of a total of 575. But this decline is probably due to incompleteness of our lists for the lower ranking mansabdars. Thus, while there were only three Afghans holding the rank of 5,000 and above in 1658-78, there were no less than ten in the same category in the period 1679-1707. Aurangzeb's later years, therefore, showed a. considerable increase in the number of the Afghan nobility But it appears that this was mainly owing to the recruitment of a large number of Afghans formerly serving in the Bijapur Kingdom. Contemporary observers write of the Afghan nobility with an obvious feeling of aversion. The Afghans came from a tribal society and even when they were appointed Mughal officers, they still remained tribal leaders and employed men from their own tribes and clans. Manucci points out that they wore aristocratic dress only for the court. When they returned, they put away the dress for the simple costumes of their race . Bhimsen has even graver objections to the Afghans.The Afghans were spread all over India and were everywhere a cause of turbulence and disorder. Their power increased after Aurangzeb's departure for the Deccan, and many of them, who were not admitted to the imperial service, raised private armies which put into the shade the contingents of many imperial officers . The growth in the number of Afghan nobles weakened the internal cohesion of the nobility, and in turn, reacted unfavourably on the fortunes of the Empire, particularly when the dominating personality of Aurangzeb was removed from the scene and still new weaknesses crept into the central government.